Our stores employ more people with disabilities as a percentage of staff than any other large corporation in Japan and we have a global target to hire at least one person with disability for every UNIQLO store worldwide. 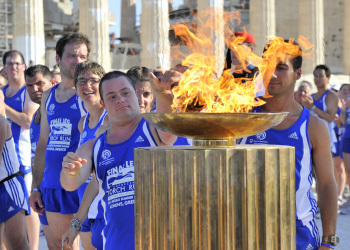 We also support the Special Olympics, through volunteering for events and the donation of uniforms to athletes and volunteer T-shirts to staff. Since 2001, UNIQLO has been working to employ one person with a disability at every store. Employing people with disabilities has the additional benefit of enhancing staff communication, thoughtfulness and customer service as well.